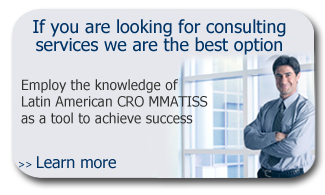 Through our 22 years of experience, Latin American CRO MMATISS has developed different tools to better support a good progress of clinical programs. MMATISS has developed specialized processes for prompt initiation and maintenance of effective operations. Also some specialty services imply the practice of providing special information and working with physicians, patients and patient advocacy groups. 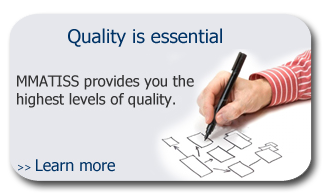 By means of the use of these tools, processes and practices MMATISS achieves satisfactory and consistent results in clinical studies, as well as a low patient dropout. Latin America has enormous possibilities to recruit patients quickly and efficiently. Only in the 3 major countries we have a population of 358 million people. This vast population gives access to several therapeutic areas, surpassing all patient enrollment expectations for any clinical study in any therapeutic area. 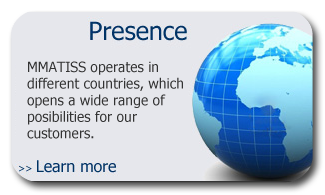 Make use of our expertise to help you obtain the best out of your programs in the Latin American region.